The Side Bridge is a fundamental exercise for trunk protection and stability. 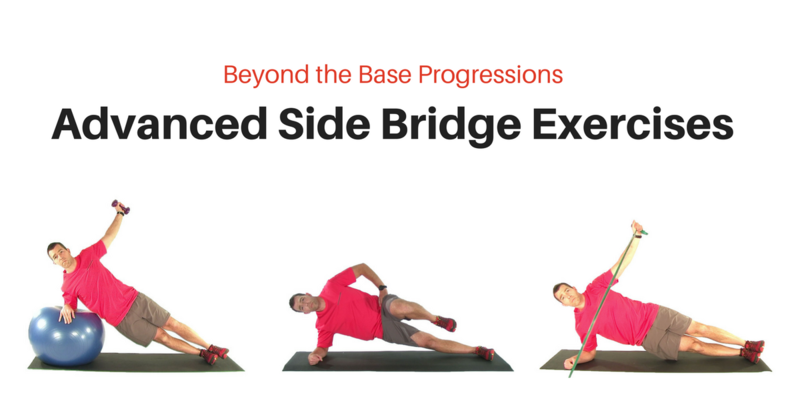 In a previous article I discussed the basic Side Bridge exercise progressions. 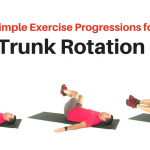 This progression contained a series of base exercises that are most appropriate in the earlier stages of spine rehab that focused on isolating the lateral trunk muscles. But the Side Bridge is not limited to these base exercises. 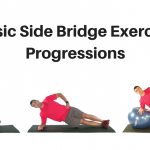 In this article I am going to run you through some more advanced Side Bridge exercises. These exercises will not only add additional muscular load to the lateral trunk, but will also start to incorporate hip and shoulder movement. This helps to integrate the control and stability of multiple segments, and starts to more closely mimic movement and stability demands required with occupational and athletic demands. Let’s take a look at some of these advanced Side Bridge Progressions. Adding hip abduction into the basic Side Bridge posture is a great way to train strength and coordination of the entire lateral chain. More specifically, it will train the upper hip abductors with the lower (bottom side) QL and lateral trunk. This is an important force couple in controlling the frontal plane pelvic position. 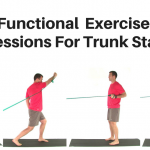 It also adds additional exercise demand to the trunk as the muscles need to contract longer as the hip lifts and lowers. And it’s more difficult to balance on the single leg. As a side note, I am classifying this here as advanced Side Bridge exercise. And it is, especially when it is done from the full side bridge posture. But when done using a flexed knee as the lower support it will actually focus on the hip abductors. I will often use this version of the exercise with lower extremity conditions with a GMed / hip abduction deficiency. 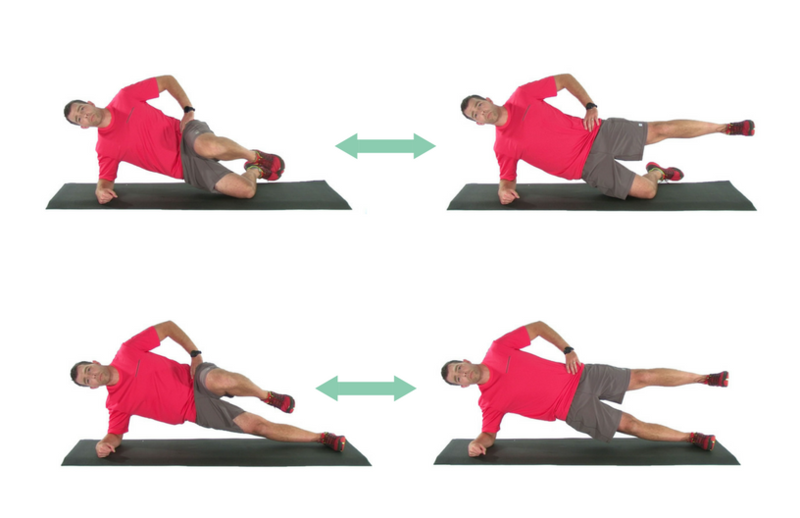 Like the previous exercise, the Side Bridge with Mountain Climber also requires single leg support. But now we add flexion and extension motion with the upper leg. The key here is to isolate the motion at the hip. During flexion focus on pulling the thigh to the trunk with the hip flexors. Do not allow the lumbar spine to flex. When bringing the thigh back do not allow the lower back to extend. Again, if the primary goal is to train the hip to move on a stable trunk this exercise can be done from a bent lower leg for support. That is a little less demanding for the trunk. If the goal is high demand on the trunk, performing the exercise with the lower leg extended will challenge even the most advanced athlete. Adding upper extremity movement is another great option with the Side Bridge. I particularly like incorporating scapular retraction. In addition to increasing the muscular demand on the trunk it helps to train scapular control. 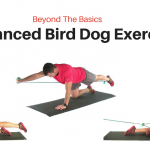 You can do this exercise with a free weight, but I like using a resistance band or cable. This puts a strong rotational load on the trunk (especially with the arm retracted) which helps to train transverse plane strength and control. Just like the previous exercises, this can be done with the knees bent or straight. The bent knee variation makes this a great exercise for shoulder problems. 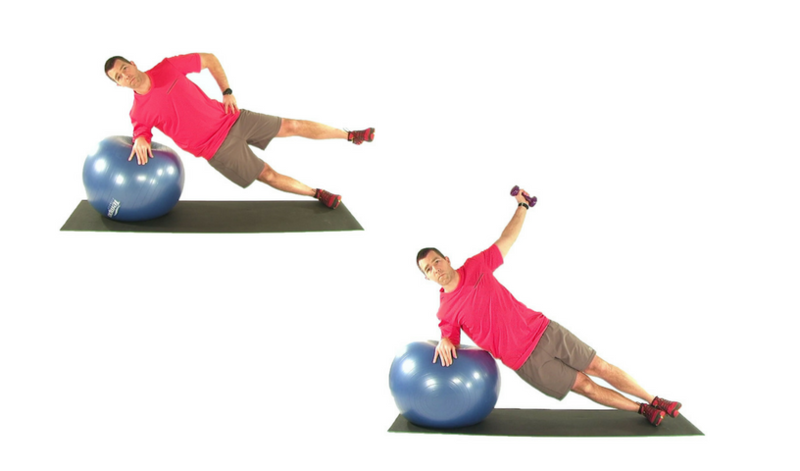 Incorporating a labile surface such as a stability ball is another option for the Side Bridge. 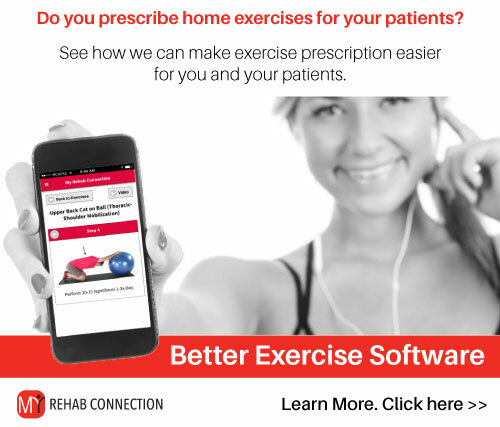 This will place a higher demand on the sensori-motor system and will help train stability and movement within an environment with greater balance and equilibrium challenges. For the most part you can perform any Side Bridge variation on a ball. I like this option when patients demonstrate a general balance deficit in addition to a weak trunk.